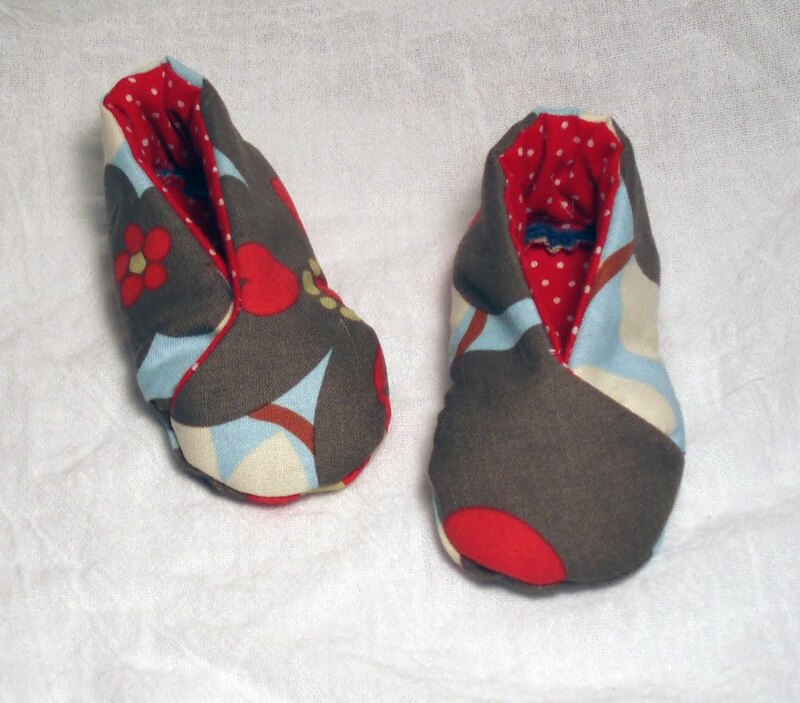 These are the Kimono Baby Shoes from Homespun Threads. The PDF pattern and tutorial are free but you have to "purchase" it from the shop and then download. These were simple, but I opted to add a layer of fleece for batting and I think it made it harder to sew then it needed to be. I wish this pattern had some basic measurements for different age babies but it only says you can resize as needed. I am not well-versed in baby foot sizes!